I’m a middle school math teacher so I know first-hand what kids tend to struggle with when it comes to basic algebra for students. I’ve seen plenty of students get frustrated and want to give up, which is really tough to see as a teacher. I decided to do some research to see what supplemental exercises I could find or come up with to keep the kids improving in a way that’s both fun and educational. I ended up coming across a website called AppGrooves that has a list of the top 10 apps for algebra, which I immediately decided to check out (link below if you’re curious) and I am so glad I did. Turns out, there are a lot of really good apps out there for helping kids learn and understand algebra and its various concepts. From all of those that I tried and really enjoyed, I realized they could be broken down into two big categories. I’ve listed both below with apps in those categories that I and my students both have found to be immensely helpful when it comes to learning, understanding, and using algebra. Instructional videos are great when learning algebra because they walk you through every algebra process so you can easily learn a variety of topic without the need for a book. This is a particularly great exercise for students who have trouble focusing when reading textbooks and prefer a more visually stimulating way to learn. Khan academy is a really great all-around app because it gives kids access to lessons in math, finance, history, grammar, politics and more. In regards to algebra, there are countless videos at that kids can use to easily learn Algebra 1, Algebra 2, and other key concepts like systems of equations, real numbers, and linear algebra. Not to mention, there are also handy hints if you find your kid needs a nudge in the right direction, so they’ll always find a way to the right solution. Just note that some problem solutions may require more than just a multiple choice selection and typing up an equation using a keyboard can be a bit time-consuming. Another quality app good for keeping students focused, Math & Science Tutor offers more than 500 hours worth of instructional videos, including in-depth explanations to walk students through every step of the solution to any algebra problem. It also has the ability to search for lessons on a variety of other math topics outside of algebra, including geometry, calculus, and differential equations. With more than 1,500 instructional videos in total, Math & Science Tutor is truly a one-stop-shop to help your child learn any algebra concept. However, keep in mind that there isn’t an option to download the videos for offline use, so you’ll want to make sure you have access to WiFi whenever you want to use the app. 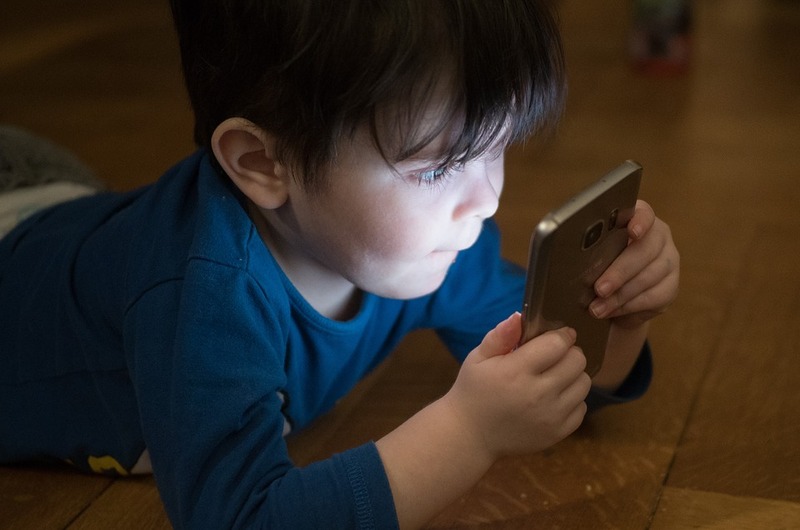 For younger children who are just learning the basics of algebra, beginner-friendly apps are key when it comes to introducing important concepts in a way that’s both fun and accessible. Games are often a good way to do this because kids think they are just playing around when they’re actually learning. The Fun Way to Learn Algebra is a wonderful app, particularly for younger children, because it provides an intuitive interface allowing kids to experience algebra equations and learn how to break down the answers to complex-looking equations. The app’s approach to learning is based on the Hands-On-Equations game, which emphasizes the educational benefits of interacting with physical pieces to manipulate numbers, except this game can be taken on-the-go. It’s a lot of fun to play, but that does mean you may struggle to drag your kids away from the game. You may want to consider scheduling set game times to limit the amount of phone-time they can have. My students and I have all enjoyed having these apps and games around, and average scores in my classroom have gone up since introducing these apps as supplemental lessons for algebra learning. If your child is struggling with the basics of math, particularly algebra, then I highly recommend you give these a try.